A New York Times Sunday Magazine cover story Oct. 18 raises questions about the Obama administration's account of a 2011 raid killing alleged 9/11 planner Osama bin Laden. The generally sympathetic profile of investigative reporter Seymour Hersh (shown in a file photo) highlighted his controversial but seldom re-reported challenge last spring to conventional wisdom about bin Laden's death during the Navy SEAL raid. News, commentary, and film recreations of the raid helped establish foreign policy credibility for the president's re-election campaign in 2012. The Times treatment comes at the same time that separate investigative reports and Western foreign policy reverses raises similar questions about the veracity and even morality of the bipartisan U.S. foreign policy establishment in ways seldom seen since the Vietnam War era. In the aggregate, these developments are very important. Greater public understanding of foreign affairs could lead to a reduction of military confrontations and orchestrated coups and rebellions. Conversely, leaders could also react by escalating war budgets, leading to direct confrontation between major nations — deriving not so much from investigative articles, of course, but instead from a U.S./NATO confrontation (possibly over a “No Fly Zone” in Syria) with Russia and its allies. 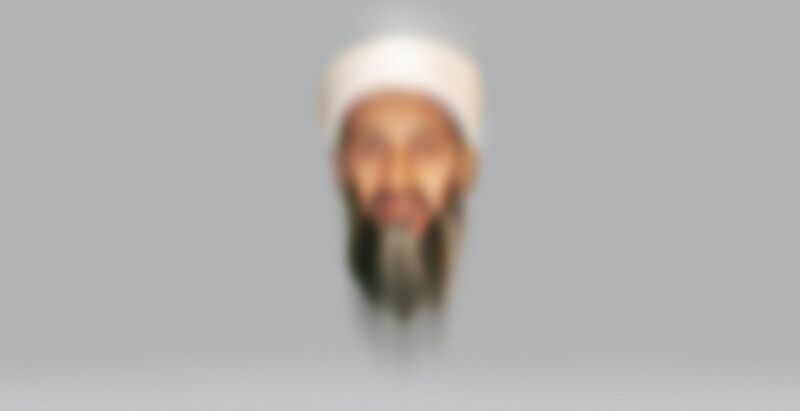 In What Do We Really Know About Osama bin Laden’s Death? the New York Times Sunday Magazine published a sympathetic examination by staff writer Jonathan Mahler, a specialist on the media, of Hersh’s article last spring, The Killing of Osama bin Laden. In it, Hersh cited unnamed sources to challenge the veracity of official accounts about the SEAL raid from the Obama administration and military/intelligence sources. The magazine cover was illustrated by a deliberately blurry image of bin Laden by designer Neil Kellerhouse (shown at left) that suggests the mysteries involved in the death. The Times story prompted a harsh attack of the newspaper and Hersh in Vanity Fair Magazine from Mark Bowden, an author of a book about the 2011 raid and a defender of the official story. Mahler's reporting for the New York Times article profiled the acerbic and otherwise colorful Hersh and his sleuthing. 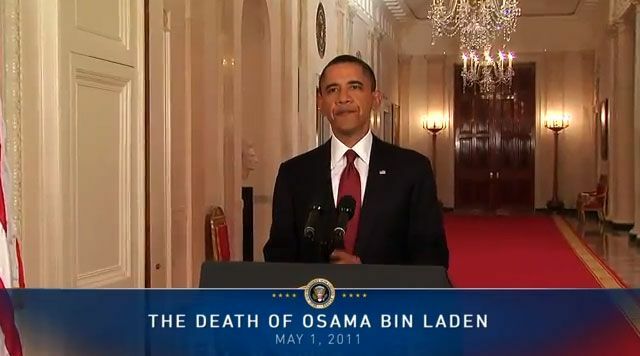 It did not attempt to resolve the mysteries surrounding bin Laden's death in a definitive manner. Nonetheless, Mahler's article was important because the Times, like other prestige outlets, tends to avoid high-profile treatment of claims that top government authorities might lie or otherwise deceive the public on vital matters involving national security. Thus, these outlets tend to ignore criticism of official accounts of 9/11 and 1960s political assassinations instead of covering the topics like other news, with pro and con viewpoints on relevant evidence and commentary. Thus, any treatment of a critic of official wisdom on a matter so important as bin Laden's death is notable in itself, and potentially marks a turning point for the elite media. What is occurring may be much like the mainstream media's first attempts to scrutinize official wisdom on the Vietnam War during the 1960s after a long period of essentially quoting government officials and covering battles with little connection of dots aside from a few pioneering reporters and their outlets. Any such transition takes a leader. In this case, Hersh has been there before. Hersh, 78, is the iconic researcher who as a freelancer exposed the U.S. My Lai Massacre during the Vietnam War. He went on to become a New York Times reporter for seven years in the 1970s. Last spring, Hersh drew on his sources to use The Killing of Osama bin Laden to contradict, among other things, how U.S. authorities learned the locale Al Qaeda’s leader’s living quarters in a military community a decade after 9/11. He reported that his sources told him that a Pakistani reward-seeker from that nation's military community tipped off U.S. officials that bin Laden was living among them, thus removing some of the glamour from standard accounts. If true it also shamed both U.S. and Pakistani personnel and officials for telling a different story. 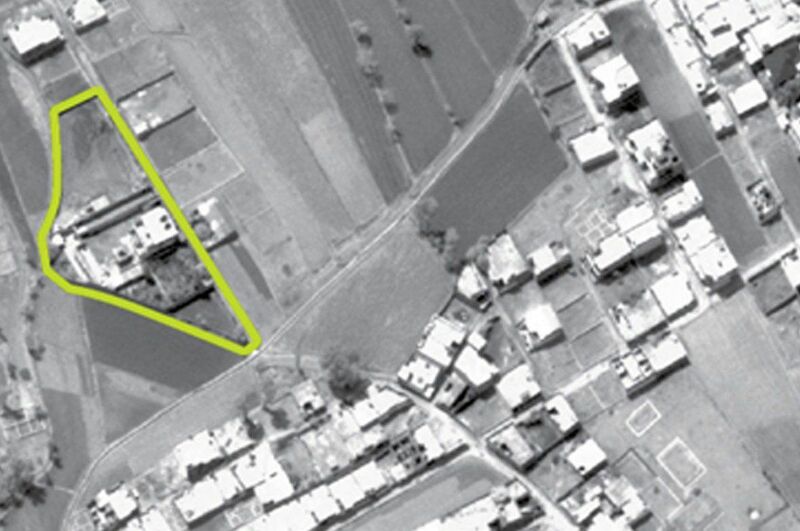 The aerial photo at left shows the site of the raid, located in a community heavily populated by Pakistani military and intelligence personnel. Hersh's reporting drew harsh attacks from the Obama White House and other defenders of the official story, who included major news organizations and film makers. 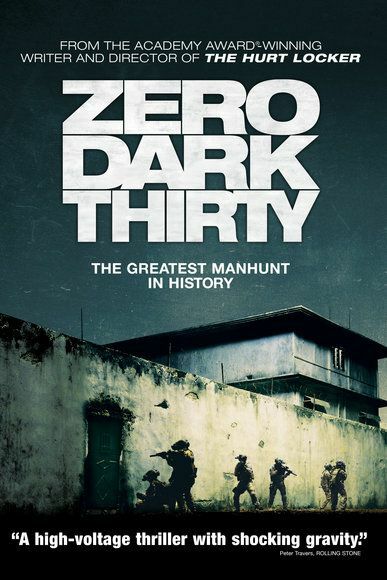 The hit film Zero Dark Thirty, released in the fall of 2012, was one of many treatments reliant not simply on the official story line, but also on access to those willing to confide details to a select few in the media but not to others. President Obama and his advocates used the raid during the 2012 election campaign to portray his Middle East policies as largely successful. This is one reasons why those in establishment politics and media are heavily invested in preserving the official story from criticism. Those earlier columns for the London Review of Books were Whose Sarin? in 2013 and The Red Line and the Rat Line in 2014 asserting that the West was falsely blaming Syria’s government for a gas attack that killed more than a thousand persons in August 2013. The articles suggested that the deaths were caused by the anti-government rebels backed by the United States, NATO, Turkey, and the Gulf monarchies. The Justice Integrity Project is among a few other alternative media that had previously made the similar argument. Based on an advance electronic copy of the Times article, Bowden last week defended as accurate his account of bin Laden death published in the 2012 book The Finish. Bowden said his account was based on so many named official sources that it was inconceivable they would deceive him and the public. Vanity Fair online published Bowden's response to Hersh and the New York Times in a column entitledThere’s Just One Problem with Those Bin Laden Conspiracy Theories. The headline for Bowden's column used a slur, "conspiracy theories" that the CIA secretly popularized in the 1960s via its stooges in journalism and academia, according to declassified documents. The CIA's purpose? To discourage questions about President Kennedy's assassination. 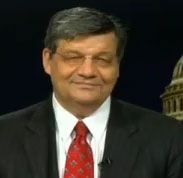 The term is now used frequently and enthusiastically by journalists (many of whom do not even know of the CIA's role) as a way of signaling to their employers, sources, and readers alike that they deserve to keep their positions at prestigious outlets because they do not sympathize with allegations of sinister plots involving government officials, whatever the story or evidence. From afar, such lack of curiosity might not seem to make sense if journalists want to break news. But those who reach and maintain influence at the highest levels of journalism develop a sense of questions too sensitive to pursue. Access to officials, goodwill from editors and owners, speaking invitations, and book contracts are all at risk for those too eager to pursue the wrong story. That's because those who control media organizations, their financiers, their advertisers, and government leaders share many common interests beyond the scope of this column but which we and others have often documented. With that background, let's discuss at least two big problems with Bowden's claim that his sources could not have intentionally misled him. First, why did so many government officials discuss with him such highly sensitive matters? These days officials might be imprisoned if they talk about secrets. Could it be that Bowden was one of the select few "reporters" who could be entrusted to write for a friendly publication what he was told without straying from the script? Second, there are significant critics who believe the Obama raid story is so implausible (including the burial at sea) that even Hersh did not go far enough in debunking it. In December 2001, Fox News reported bin Laden's death in Report: Bin Laden Already Dead, based on Pakistani news reports. Fox News then, as later, was a fervent supporter of the Bush administration. So, there was no obvious reason why it would concoct a news report on death, which was not unexpected since bin Laden suffered from kidney disease so serious that he needed dialysis difficult to imagine for a man reportedly living in caves and on the run. 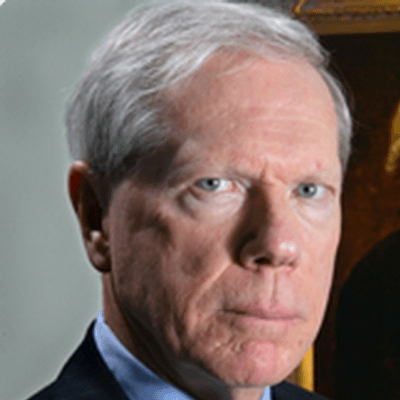 Dr. Paul Craig Roberts is a conservative scholar and commentator shown at right. He is among those who have written for years, as in Seymour Hersh Succumbs To Disinformation, that the bin Laden photos and confessions after 2001 appear to have been faked by the U.S. government to create a bogeyman. The purpose? To justify military and intelligence spending that the American voters and taxpayers would not otherwise support. For such comments, Roberts — still a prolific columnist and broadcast pundit — is no longer published by U.S. mainstream media. 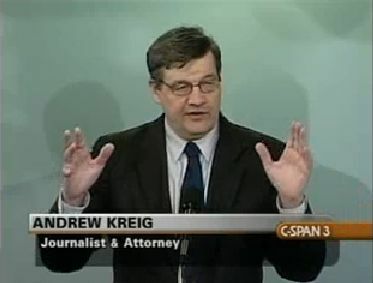 The former associate editor of the Wall Street Journal and assistant Treasury secretary during the Reagan administration therefore writes almost daily for alternative media and comments for international broadcasters. Roberts is far from alone in receiving such treatment for criticizing the bipartisan foreign policy consensus in the United State. Hersh himself has published his three most controversial stories of recent years in the smallish London Review of Books instead of the New Yorker Magazine. Hersh has not complained and instead accepts that controversial work sometimes cannot readily be published by mainstream U.S. outlets. The New Yorker and Vanity Fair magazines are both owned by Advance Publications, which are controlled by the Newhouse family dynasty that owns many other magazines and newspapers. Few insiders want to talk about how news decisions are made on major stories. But here is the gist, based on this editor's experience, including a memoir on the topic, Spiked, published in 1987: Readers, and indeed journalists need to understand that the ownership of publications can have many important impacts on the material published, particularly on important stories with implications for the owners' ideologies, political preferences, and relationships with government, bankers, and major advertisers. It's that kind of background that makes significant the Sunday New York Times magazine story on Hersh. While most Americans will never notice it savvy members of the media will do so and best more likely to take seriously the next "conspiracy theory" that might just be true. 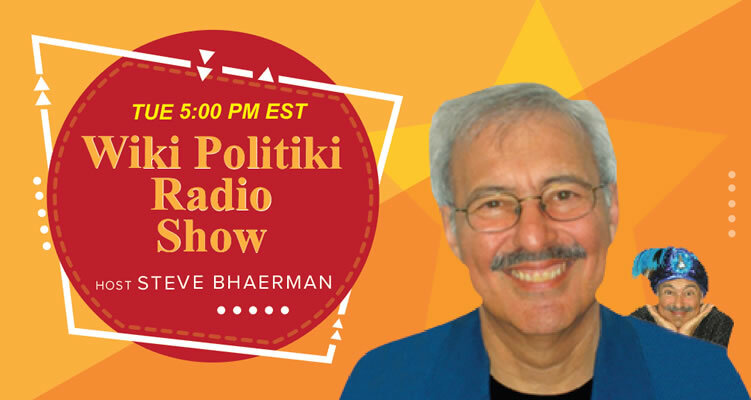 Coming next at JIP: More shocking claims discrediting the bipartisan foreign policy consensus and leading officials, beginning with "Britain's Prime Minister Blair Exposed As Liar, 'Bush's Poodle' On Iraq War. 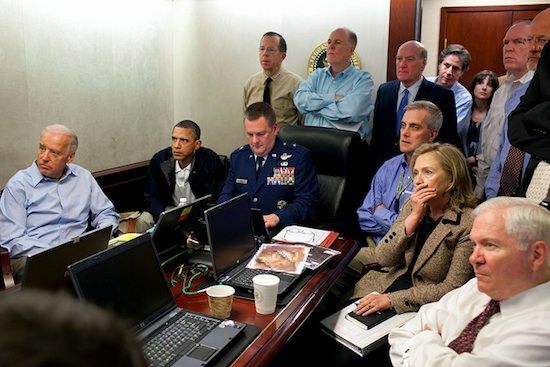 In 2011, the White House released what has become a widely republished photo showing President Obama, Vice President Biden, Secretary of State Clinton, Defense Secretary Robert Gates and other senior officials in the Situation Room watching what was announced as the killing of Osama bin Laden by U.S. personnel raiding a compound in Abbottabad, Pakistan. ‘‘The story stunk from Day 1,’’ [Seymour] Hersh told me. Within days of the bin Laden raid, Hersh told me, ‘‘I knew there was a big story there.’’ He spent the next four years, on and off, trying to get it. What he wound up publishing, this May in the London Review of Books, was no incremental effort to poke a few holes in the administration’s story. It was a 10,000-word refutation of the entire official narrative, sourced largely to a retired U.S. senior intelligence official, with corroboration from two ‘‘longtime consultants to the Special Operations Command.’’ Hersh confidently walked readers through an alternate version of all the familiar plot points in a dispassionate, just-the-facts tone, turning a story of patient perseverance, careful planning and derring-do into one of luck (good and bad), damage control and opportunism. Vanity Fair, There’s Just One Problem with Those Bin Laden Conspiracy Theories, Mark Bowden, Oct. 16, 2015. 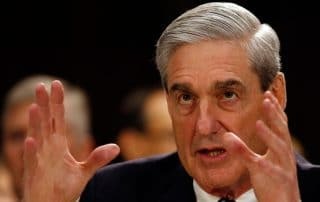 They have no factual basis, despite what you may have read in ​​The New York Times Magazine,​ argues the reporter who pieced together the story from dozens of on-the-record interviews. Without a shred of evidence, without contradicting a word that I wrote, Jonathan Mahler in The New York Times Magazine this week suggests that the “irresistible story” that I told about the killing of Osama bin Laden in my 2012 book, The Finish (excerpted in Vanity Fair), might well have been a fabrication — “another example of American mythmaking.” He presents an alternative version of the story written by Seymour Hersh as, effectively, a rival account, one that raises serious doubts about mine, which is all but dubbed “the official version.” It’s not meant kindly. 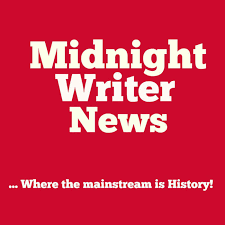 Insurge Intelligence via OpEdNews, The bin Laden death mythology, Nafeez Ahmed, July 3, 2015. The White House's story of how U.S. special forces hunted down and assassinated arch terrorist Osama bin Laden in his secret lair in Pakistan is unraveling. The official narrative of the bin Laden raid is that for over a decade, U.S. intelligence hunted for the terror chief until a surveillance/torture-enabled breakthrough tracked him to a secret compound in Abbottabad, Pakistan on May 1, 2011. The role of a former ISI officer in blowing the whistle on the ISI's protection of bin Laden in August 2010 brought his concealment out into the open and triggered high-level White House discussions on how to resolve the situation: to kill or not to kill? Declassified documents, official government reports and intelligence officials confirm that since before 9/11, and continuing for the decade after, the US intelligence community was systematically stymied from apprehending Osama bin Laden due to longstanding relationships with Saudi and Pakistani military intelligence. Despite specific intelligence available to elements of the US intelligence community on bin Laden's location in Pakistan, under the protection of US allies, no action was taken to apprehend bin Laden for years. 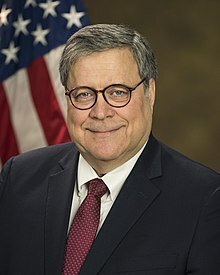 That failure to act coincided with the launch of an anti-Iran US covert operations program around 2005, pursued in partnership with Saudi Arabia, to finance Islamist Sunni militants including al-Qaeda affiliated groups. New Yorker Magazine, Why Seymour Hersh’s ‘Alternative’ bin Laden History Did Not Appear in The New Yorker, Gabriel Sherman, May 11, 2015. Yesterday, the London Review of Books published one of the most mind-bending pieces of national-security journalism in recent memory: Seymour Hersh’s alternative history of the Osama bin Laden assassination. Over more than 10,000 words, the legendary investigative reporter and longtime New Yorker contributor un-spooled a remarkable narrative that accuses the Obama White House of concocting a “blatant lie” to hide Pakistan’s involvement in the SEAL Team Six raid on bin Laden’s compound in Abbottabad. Not surprisingly, the pushback has been ferocious. One of the most interesting sub-dramas of Hersh’s exposé has to do with the article’s appearance in the LRB. Why, many people are wondering, did Hersh’s account not appear in The New Yorker, where Hersh has been a contributor since 1971? In fact, the article’s stunning claims put Hersh on the wrong side of his longtime journalistic home. 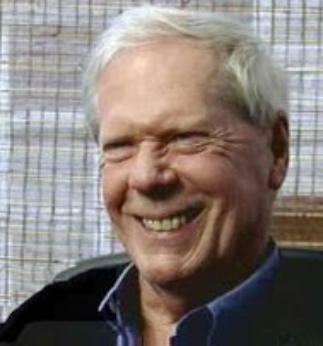 OpEdNews, Seymour Hersh Succumbs To Disinformation, Paul Craig Roberts (shown in file photo), May 11, 2105. Washington's disinformation agencies have finally managed to deceive Seymour Hersh with a concocted "inside story" that saves Washington's claim of having murdered bin Laden by proving that the US government is an extraordinary liar and violator of law. Seymour Hersh has published a long account of the homicide of Osama bin Laden. Hersh concludes that the Obama regime's account of the killing of bin Laden is a total fabrication except for the fact that bin Laden was killed. I do not believe Hersh's story for three reasons. One reason is that bin Laden was suffering from disease that no one can survive for a decade. His death was widely reported in 2001. 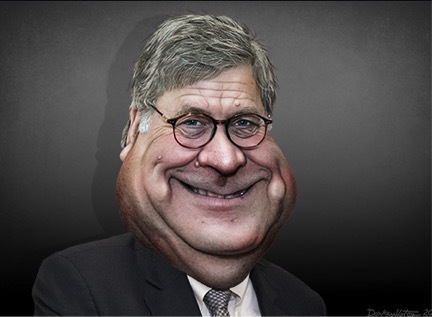 He exposes lies within lies, indecision within decision, payoffs within payoffs, and reports such a huge number of people with advance knowledge of the raid that it cannot possibly have been kept a secret. 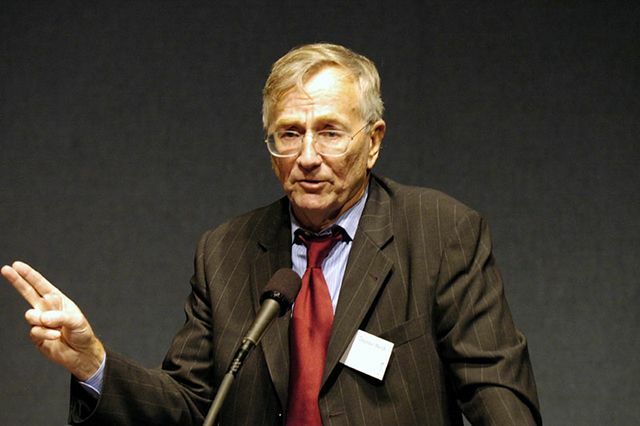 In my opinion, Washington's disinformation agencies have finally managed to deceive Seymour Hersh with a concocted "inside story" that saves Washington's claim of having murdered bin Laden by proving that the US government is an extraordinary liar and violator of law. Hersh's story does prove that the US government is a liar, but it does not prove that a SEAL team murdered Osama bin Laden. Truthout, Exclusive Investigation: The Truth Behind the Official Story of Finding Bin Laden, Gareth Porter, May 3, 2012. A few days after US Navy Seals killed Osama bin Laden in a raid in Abbottabad, Pakistan, a "senior intelligence official" briefing reporters on the materials seized from bin Laden's compound said the materials revealed that bin Laden had "continued to direct even tactical details of the group's management." Bin Laden was, "not just a strategic thinker for the group," said the official. "He was active in operational planning and in driving tactical decisions." Such was the official line at the time. But none of it was true. It is now clear that CIA officials were blatantly misrepresenting both bin Laden's role in al-Qaeda when he was killed and how the agency came to focus on his compound in Abbottabad, Pakistan. In fact, during his six years in Abbottabad, bin Laden was not the functioning head of al-Qaeda at all, but an isolated figurehead who had become irrelevant to the actual operations of the organization. The real story, told here for the first time, is that bin Laden was in the compound in Abbottabad because he had been forced into exile by the al-Qaeda leadership. FoxNews.com, Report: Bin Laden Already Dead, Staff report based on news sources in South Asia, Dec. 26, 2001. Usama bin Laden has died a peaceful death due to an untreated lung complication, the Pakistan Observer reported, citing a Taliban leader who allegedly attended the funeral of the Al Qaeda leader. "The Coalition troops are engaged in a mad search operation but they would never be able to fulfill their cherished goal of getting Usama alive or dead," the source said. Bin Laden, according to the source, was suffering from a serious lung complication and succumbed to the disease in mid-December, in the vicinity of the Tora Bora mountains. The source claimed that bin Laden was laid to rest honorably in his last abode and his grave was made as per his Wahabi belief. About 30 close associates of bin Laden in Al Qaeda, including his most trusted and personal bodyguards, his family members and some "Taliban friends," attended the funeral rites. A volley of bullets was also fired to pay final tribute to the "great leader." The Taliban source who claims to have seen bin Laden's face before burial said "he looked pale ... but calm, relaxed and confident." Asked whether bin Laden had any feelings of remorse before death, the source vehemently said "no." Instead, he said, bin Laden was proud that he succeeded in his mission of igniting awareness amongst Muslims about hegemonistic designs and conspiracies of "pagans" against Islam. Bin Laden, he said, held the view that the sacrifice of a few hundred people in Afghanistan was nothing, as those who laid their lives in creating an atmosphere of resistance will be adequately rewarded by Almighty Allah. When asked where bin Laden was buried, the source said, "I am sure that like other places in Tora Bora, that particular place too must have vanished." London Review of Books, The Red Line and the Rat Line, Seymour M. Hersh (shown in a file photo), April 4, 2014. 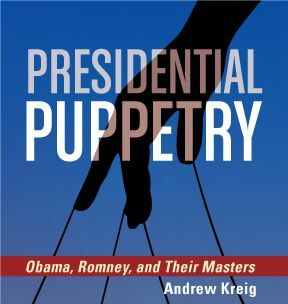 In 2010, Barack Obama led an allied military intervention in Libya without consulting the US Congress. Last August, after the sarin attack on the Damascus suburb of Ghouta, he was ready to launch an allied air strike, this time to punish the Syrian government for allegedly crossing the ‘red line’ he had set in 2012 on the use of chemical weapons.​ Then with less than two days to go before the planned strike, he announced that he would seek congressional approval for the intervention. The strike was postponed as Congress prepared for hearings, and subsequently cancelled when Obama accepted Assad’s offer to relinquish his chemical arsenal in a deal brokered by Russia. Why did Obama delay and then relent on Syria when he was not shy about rushing into Libya? The answer lies in a clash between those in the administration who were committed to enforcing the red line, and military leaders who thought that going to war was both unjustified and potentially disastrous.